Ever need to fix a textured finished plastic? This excellent product allows you to finish off quicker and easier. 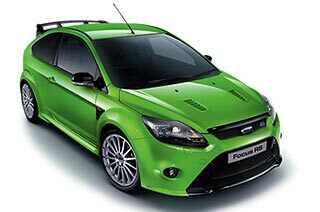 Loved by our customers it is now seen as an essential product in any Body Shop. These days, plastics are used on a large scale in vehicles. So not only are bumpers made of un-lacquered, textured plastic, but so are mirrors, mudguards and fenders. This plastic offers lots of positives: it is lightweight, relatively inexpensive and easy to shape and process. But it does have its negatives too. Textured plastic parts are also very vulnerable to damage such as scratches and scrapes. With Repaplast Structure Coat all of this minor damage can be perfectly repaired with a minimum of effort, and damaged structured parts can be made to look like new. Repaplast Structure Coat is a professional PVC-free and aromatic-free texture primer. Due to its excellent filling power the product is extremely well suited to the repair of textured plastics. With Repaplast Structure Coat it is possible to imitate the original OEM structure in a simple and professional manner after damage or repair. Repaplast Structure Coat contains a quickly evaporating solvent. It is therefore possible to spray lots of different textures simply by varying the spraying distance of the aerosol can. Thanks to its aerosol packaging Repaplast Structure Coat is extremely user friendly and easy to apply. The fine round spray nozzle gives a perfect end result and the product is very economical. The surface must be clean, dry and free of grease. Sand down or roughen the surface depending on the subsequent treatment. Clean with Innotec Repaplast Cleaner Antistatic and a sanding block, then treat with Repaplast Primer New Formula. Allow to dry. Shake can well before use. First apply thin coats of Repaplast Structure Coat to the area to be repaired. By varying the spraying distance it is possible to imitate OEM structure. 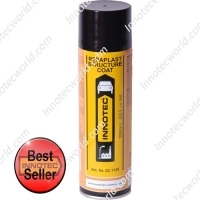 Use Repaplast Structure Coat on the rest of the plastic where required. – Easily sprayable, in several structures. – Can be sprayed wet-on-wet after 10 minutes with Repaplast Colour Finish Better Care.